Looking to own some real estate in Concord? Here are 10 local area houses for sale, ranging from $187,900 to $344,900, as featured on realtor.com. 1. 26 Donovan St.($187,900) – Timeless two-bedroom Cape styled home nestled in the South End of Concord. Two car attached garage. Enter this home to a warm and inviting mudroom. With three choices of direction, direct entry to two-car garage. Which then brings you to the rear of the garage where you find an oversized heated workshop. Ample electricity for the person who wants to tinker for hours. The other exit from the mudroom goes to the screened in porch on the back of the house. Cookouts waiting to be cooked. The kitchen is first when entering the house. Ample counter and cabinets. Living room boast hardwood floors. The dining room off the kitchen also has hardwood with built in wall unit. Another bonus is the first floor bedroom, again with hardwood floor. The upstairs is for the master bedroom. His and her closets and 3/4 master bath. A nice level lot nicely landscaped. Built in 1936. 2. 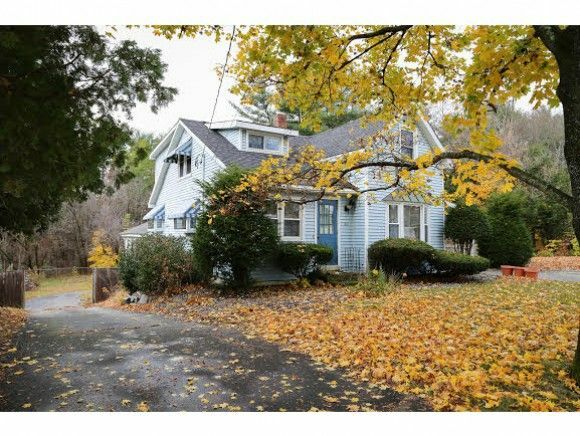 80 Bow St.($279,900) – South End beautiful New Englander with a huge lot, nearly an acre of land for play and parking and privacy. This home is located within walking distance to the Abbot-Downing Elementary School. In ground pool and cabana for next summer. Fantastic beamed cathedral ceiling family room with half bath. Light and bright kitchen with granite counters, gleaming hardwood floors in the formal living and dining rooms, convenient first floor laundry, three bedrooms and two full baths on second floor including stylish master with tiled 3/4 bath. 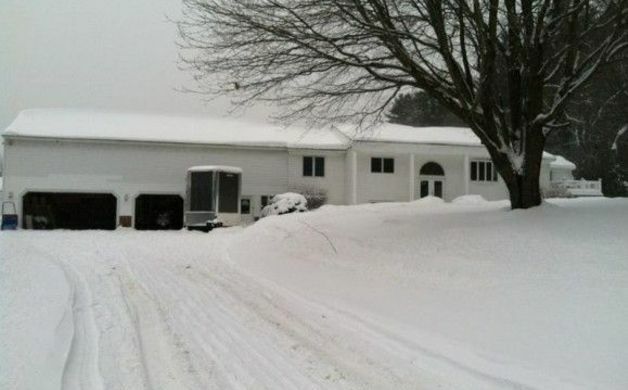 Super home with great square footage on a beautiful .98 acre yard in great commuting location. Built in 1939, the home features three bedrooms, two and a half bathrooms and a two-car garage. 3. 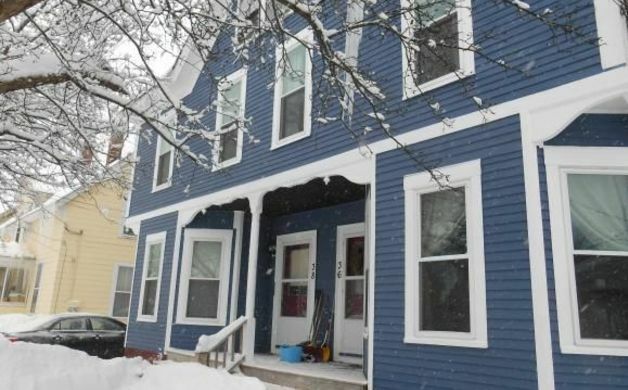 36-38 Downing ($234,900) – What an investment opportunity. 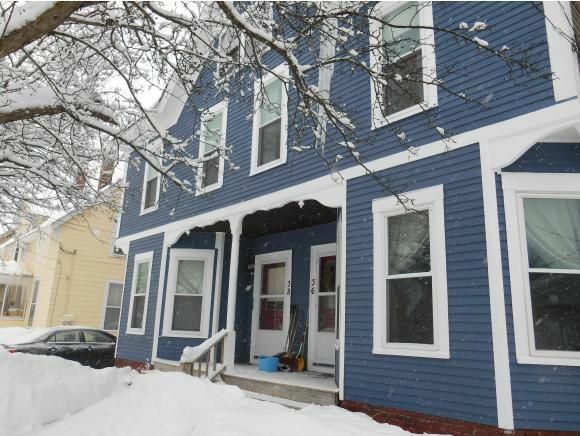 Side by side duplex in the south end of Concord just minutes from downtown and the highway. Beautifully kept and updated. Newer windows, water heaters, furnace, updated electrical, and blown in insulation. Great Farmers Porch, exterior porch on unit 38 and four season enclosed porch for extra space on unit 36. Entirely fenced in back yard and storage shed for yard equipment make this truly a great property. Hardwood floors, both sets of appliances including washer and dryers to stay. More than five parking spaces with two driveways and walking distance to law school. Built in 1875. 4. 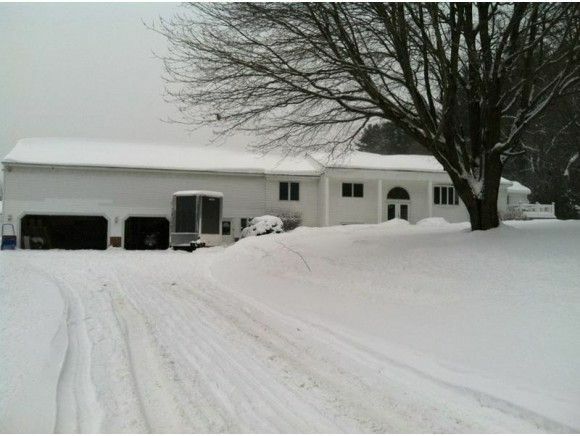 135 Oak Hill Road($299,900) – A 1560 +/- sq. 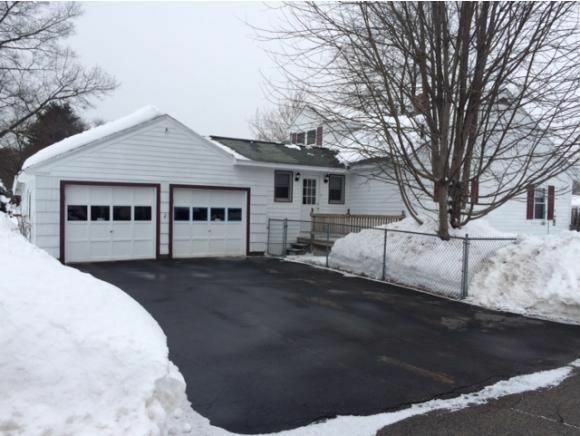 ft. raised ranch located on a large 1.12 +/- acre lot near Turtle Pond in a desirable East Concord neighborhood. 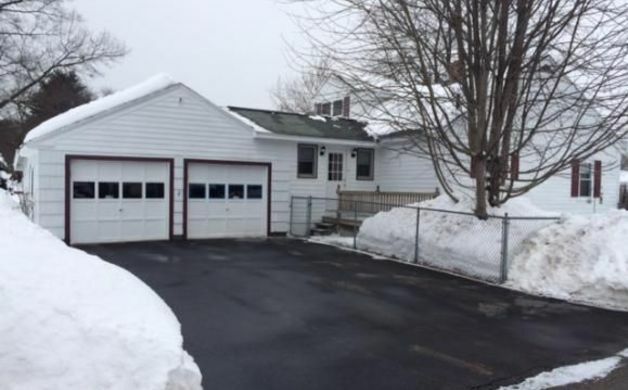 The home has four bedrooms, three bathrooms, finished lower level family room with wood stove, and huge three-car garage with considerable unfinished space above for future expansion. Beautiful lot with mature oak trees, surrounded by stone walls and very near Turtle Pond boat access point. Built in 1965. 5. 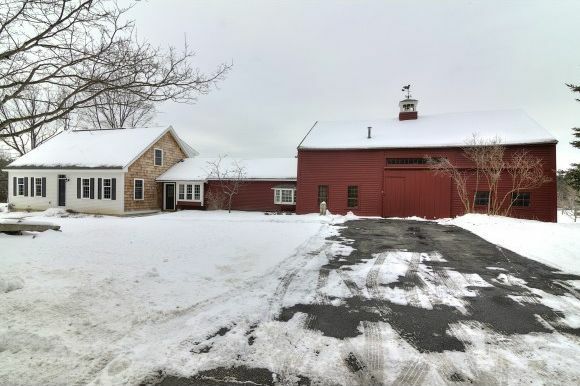 1 Sanborn Road ($344,900) – Off Mountain Road on the East Side of Concord is where you will find this newly constructed three-bedroom Dormered Cape with three baths that has been tastefully married to the original Ell and barn. It sits on a picturesque 1.02 acre lot surrounded by the beautiful countryside. Immediately upon entering you are struck by how gorgeous the French country kitchen is with granite counter tops, stainless steel appliances, Jenn-Air gas cook top range, center island and tile flooring. Perfect for those that love to cook and entertain! Off the kitchen a spacious family room with wide pine floorings and exposed post and beams. 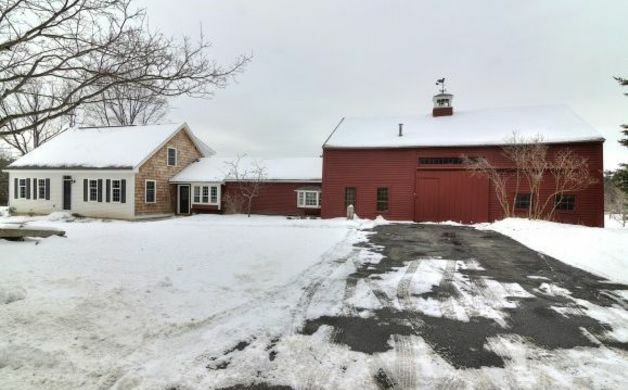 The original barn consists of open room w/ finished loft and another room. This configuration makes the perfect home office or in-law suite. Also on the main level is the dining and living room. The master suite w/ walk-in closet, full bath and French doors that open to a private deck. Much more to mention but Iâve run out of space. 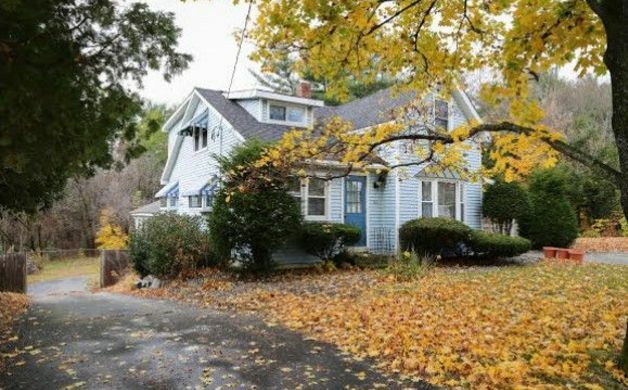 Owner is a New Hampshire real estate agent. Built in 2014.